Bobby Maddex interviews Yianni Gagianas, the chairman of the student leadership board of Orthodox Christian Fellowship, about all things OCF. If you're not yet familiar with this campus ministry organization, then this is the perfect place to start. 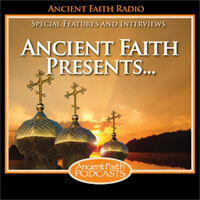 Bobby Maddex interviews Mark Sultani, a college student at the University of Michigan, about Orthodox Christian Fellowship and its annual College Conference. Ancient Faith Presents: St. Katherine College Accreditation!